5ive, 911, A1, and Damage will tour the UK together in spring 2020. A total of 30 dates have been lined up for the The Boys Are Back Tour, kicking off on February 19 in Edinburgh and culminating on March 23 in Cardiff. Tickets go on general sale at 10am on April 10. 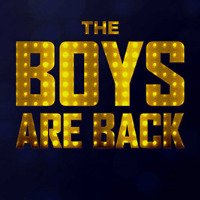 Click here to compare & buy The Boys Are Back Tickets at Stereoboard.com.